Alexander Carlsson, operations manager at Fabege. It is of course extremely exciting that we are up and running with this important project, together with Huddinge Municipality. Attractive workplaces located close to where people live are needed, also on the southern side of Stockholm, and utilizing vacant capacity in existing infrastructure is very wise. We hope that this new city district will create a better balance and more competitiveness in the entire Stockholm region. As a proactive urban developer, it is quite natural for Fabege to also get involved in creating new homes. The project in Solna and partnership with the TB Group is another example of such an initiative, with Fabege actively contributing to more homes being built. It is fantastic that a creative, young and expansive company has chosen to be based in Hammarby Sjöstad. Hyper Island runs a business that involves the general public, which attracts people to it and thereby contributes to achieving a dynamic urban district. Together with Huddinge Municipality and other stakeholders, we want to transform the Flemingsberg area from being a strong regional centre into a dynamic international star. 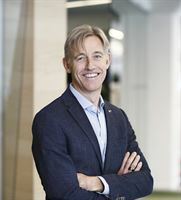 Klaus Hansen Vikström, CEO of the consortium. Due to our focus on offices, it is a natural step to divest this school property now that it has been completed and is about to open. The property is fully leased and provides no further development potential for Fabege. We are convinced that Pareto previously acquired and today manages this type of community properties will be a good landlord. The positive development of Arenastaden, and in particular Friends Arena, is generating a growing need for hotels situated in the vicinity. Nordic Choice Hotel’s new hotel initiative will create improved conditions for both Friends Arena and Mall of Scandinavia, as well as companies’ visitors and employees. We’re delighted about the continued strong demand for our green bonds and our increased green financing opportunities. Half of Fabege's funding is now green and we are positively observing the increasingly responsible financial market. We are very pleased to be able to continue developing our relationship with ICA. It is very much in line with our strategy of being customer-focused and flexible. Fabege considers it important to continue operating as a strong, long-term owner and administrator in Arenastaden. The latest transaction aligns with the Fabege business model which aims to boost the potential of the portfolio by selling modern, fully refined properties so as to free up capital for value-generating project investments. In Arenastaden alone, Fabege owns almost 200,000 sqm of commercial development rights, which are set to be developed over the coming years. Through this latest sale, we are creating space to continue completing value-generating investments in our chosen areas. The property is a good match for the investment market’s demand for modern offices in attractive locations, fully leased and with long-term contracts. In the same way as previously, Fabege will be responsible for operation and administration, and I’m delighted with the working relationship built on trust we enjoy with Union Investment. Green funding is an important part of our sustainability work and by the end of 2017, 47 per cent of our total funding was green. Receiving the highest rating from Moody's is a quality measurement that we are very proud of. It feels great and exciting to be working with Skanska, which has shown great enthusiasm and commitment to partnering with us on this project. Skanska is a cutting edge enterprise, working hard to reduce environmental impact, and placing great emphasis on occupational health and safety at its construction sites. Fabege is growing; several projects are under way and we are keen to team up with contractors who prioritise areas that are important to us, and who live up to our demanding standards. Klas Holmgren, Director of Projects and Development at Fabege. We are very pleased with the solution we have identified together with Bilia, as a result of which they will remain in a location that has become increasingly attractive over the years as a result of the proximity to Arenastaden, Hagaparken and the expanded public transport options at Solna station, as well as now being in a brand new and vibrant city district with both residential and commercial properties. Klaus Hansen Vikström, Vice President at Fabege. We are looking forward to working with Swedbank for many years to come and welcoming the bank's employees to Grand Central Sundbyberg. We’re delighted about the strong demand for our green bonds and our increased green financing opportunities. The extended framework is consistent with our efforts to finance the company using green funding, and sits well with our ambitious sustainability work. We are well-equipped to take advantage of the current positive market conditions. Our projects continue to deliver at a high level – yield on capital invested during the first six months of the year was 54 percent. As project properties are completed and tenants move in, we are beginning to see the positive effects of the increased cash flow in our income statement. With a committed organisation and considerable potential in our market and our property portfolio, I look forward to continued favourable development in 2017 and 2018. City district development is all about creating an attractive setting where the people who live, work and spend time in the area can really enjoy their everyday lives. When building a great many residences, offices and commercial premises, it is essential to remember the children. How can we help citizens put together their everyday lives, and where would be good places to establish schools and preschool facilities? In Råsunda, we have worked closely with the city authorities to come up with an excellent holistic solution for a great many people. If we succeed in reducing the amount of transportation to and from our areas, then we’ve come a long way towards creating a more sustainable district. In AEG, with its extensive international network and experience, we’ve found a partner with an excellent reputation with whom we can continue to develop the events experience at Friends Arena while positioning the Stockholm region internationally. Klaus Hansen Vikström, Board member at Arenabolaget i Solna. We’re seeing a clear increase in interest for the south side of Stockholm, which we as urban developers think is positive in terms of creating a good balance in the city. Thanks to strong brands making their way southwards, the positive trend of increased service, more frequent public transport services and an inner-city feel will continue at a rapid pace. Market conditions remain positive. I am confident that both rent levels and property values will continue upward, albeit at a slower pace than we have seen over the past year. Completed projects will help boost cash flow in 2017. We have considerable potential in our development rights and are well positioned to capitalise on the business opportunities that lie ahead. We’re genuinely looking forward to welcoming a dynamic, fast-growing technology company to the area. Snow Software will make a positive contribution to the business culture we have here. We’re delighted that Migrationsverket has decided to remain with Fabege. Our long-standing and highly successful relationship meant that it was extremely important to us to identify a great office and location for their operations. The fact that the financial market has caught on and is now encouraging sustainability is a break in the trend. It’s positive to see the financial market increasingly taking responsibility for the climate issue by offering various green financing alternatives. They have huge opportunities to influence developments and in our dialogue with the banks we are now seeing a clear increase in interest in these issues. Åsa Lind, Fabege’s Head of Treasury. - The issue is in line with our commitment to fund ourselves in a green way and is a good fit with our ambitious sustainability efforts. Åsa Lind, Head of Treasury at Fabege. The property favourably matches the demand in the investor market, meaning that it is fully developed, fully let and has long-term tenant. The sale creates scope for additional value-generating investments. I am delighted with this transaction, which is completely in line with our long-term strategy and am also gratified to be entrusted to continue managing the property and to take care of the relationship with the customers. We’re delighted about the creation of residential development rights on the properties, allowing the additional consideration to be realised. Klaus Hansen Vikström, Vice President and Director of Business Development at Fabege. -	The issue is in line with our commitment to fund ourselves in a green way and is a good fit with our ambitious sustainability efforts. Both the property and rental markets remain strong, with accelerating rent levels and rising property values. We achieved high earnings in the first half of the year and the conditions are in place for strong earnings for the full year 2016. More completed projects will increase rental volumes which, combined with continued operational efficiency and low interest expense, is expected to generate better profit from property management. Christian Hermelin, CEO at Fabege. For many years we have consciously focused on sustainability and health as an integral part of our business. We’re now going one step further and demonstrating the position we have adopted on social development with an artistic embellishment in Arenastaden while actively initiating campaigns regarding the spread of information and education. This transaction allows us to create the opportunity for further development in an area in close proximity to our other holdings in Solna. The property’s location means that it has the potential to become an important part of our ongoing structural measures. -	3 will have its very own landmark featuring attractive architecture, and the office will become a symbol of the rapidly emerging Söderstaden. With its decision to relocate its head office here, 3 has again shown that it is at the cutting edge of developments, and the company will definitely become an important stakeholder in the future development of southern Stockholm’s key business hub. Klaus Hansen Vikström, Vice CEO and Head of Business Development at Fabege. We are of course very pleased with the continued strong interest in Arenastaden and welcome Ambea to the area in summer 2017. -We are delighted to be able to continue our objective of financing our operations through green programmes, at the same time as taking the lead in developing the market for green funding. This favourably matches our ambitious sustainability work,” comments Åsa Bergström, Deputy CEO and Chief Financial Officer of Fabege. 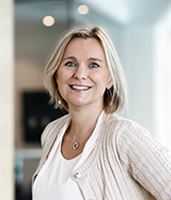 Åsa Bergström, Deputy CEO and Chief Financial Officer of Fabege. Fabege had the capacity and driving force to capitalise on the favourable conditions in the market. Successively during the year, we renegotiated rents at increasingly higher levels, we signed leases with new customers and we continued work to make our property management and our value creation projects more efficient. As a result of all of this, we paved the way for the strong value growth that is now visible in our earnings. Although we have learned a lot about sustainable urban development in our work with Arenastaden, we are looking forward to fine-tuning our processes and learning more from the best practices of others. Urban development projects are faced with many challenges associated with the development of a vibrant, accessible and service-oriented city that supports far-reaching climate and transportation targets. The importance of cooperation to achieve success in the development of tomorrow’s cities cannot be stressed enough. Mia Häggström, Environment and Operational Technique Manager at Fabege. Fabege has today been informed that the Swedish Tax Agency intends to move to new premises with access at the end of 2021.Fabege's lease agreement with the Tax Agency for the property Nöten 4 expires in autumn 2020. The annual rent amounts to just over SEK 100 million. After almost 25 years at Fabege, of which over the past 12 years as President and CEO, Christian Hermelin has informed Fabege's Board of Directors that he has decided to leave the company. In order to ensure a smooth succession, Christian has agreed to remain as CEO until a successor has taken over the role. 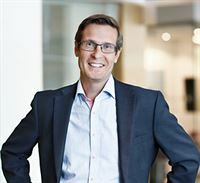 The board will now initiate a recruitment process.“Through his strong commitment, leadership and good industry knowledge, Christian Hermelin has navigated Fabege through the global financial crisis, while developing a clear and successful strategy that has strengthened Fabege's position.